Your business will bloom when you plant the promotional seed of this green giveaway! 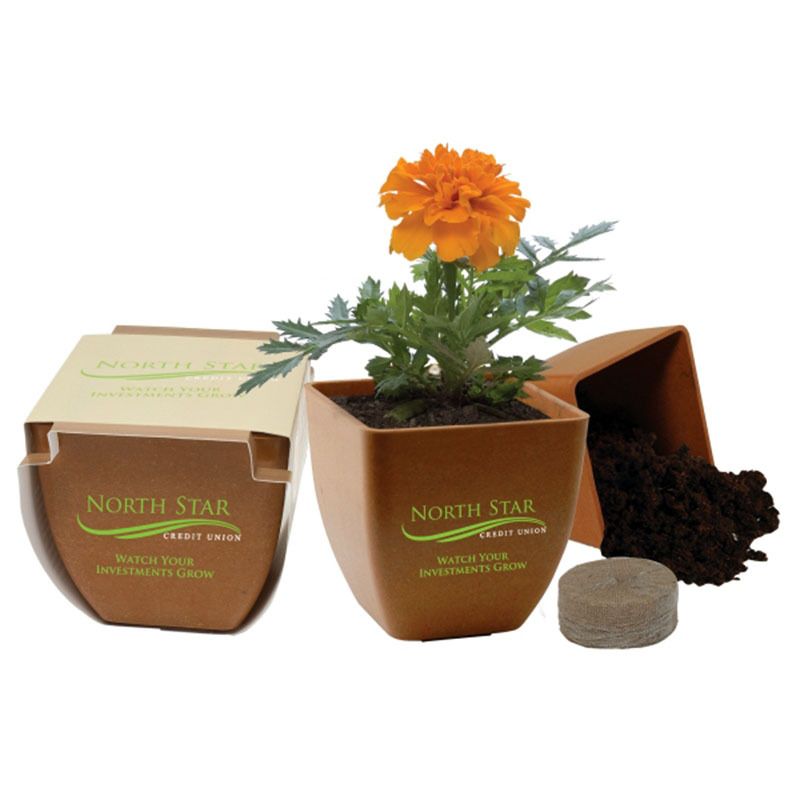 Our eco-friendly Bamboo Blossom Kit is 100% biodegradable and includes 1 seed packet, 1 peat pellet, bamboo pot and 4 color process packaging with imprint on top. Add your organization's logo for great brand exposure. This is a nifty item to hand out at a fundraiser, corporate picnic or garden show. Color may vary for the terra cotta pot. Available Seed Options: Basil, Clover, Coleus, Forget-Me-Not, Marigold, Money Plant, Oregano, Patriotic Mix, Poppy, Sunflower, Tomato, or Thyme. Available Packaging Designs: Standard, Patriotic, or Breast Cancer Awareness.